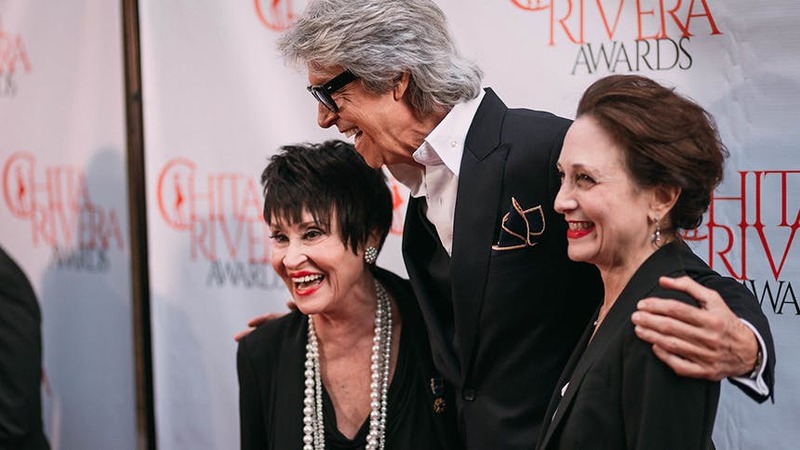 The Al Hirschfeld Theatre hosted the inaugural Chita Rivera Awards (previously known as the Astaire Awards) on September 11, and it was truly an evening to remember. Named for the two-time Tony-winning star of The Rink, Kiss of the Spider Woman, West Side Story, Bye Bye Birdie, Chicago and The Visit, the Chitas celebrate dance and choreographic excellence on Broadway, off-Broadway, and in film. So let’s dive into the evening. The New York City ballet dancer (who was nominated last night for Outstanding Female Dancr in a Broadway show for her turn as Victoria the White Cat in Cats) kicked off the show honoring Chita with the iconic West Side Story showstopper—and legit kicked. Those kicks were getting mid-song applause. She danced that number like there was no tomorrow and it felt electrifying. The first awards for excellence off-Broadway were presented by Tony winners Donna McKechnie, Priscilla Lopez, and Baayork Lee—and if you need to know which characters they played in A Chorus Line why are you reading this? How did you end up here? Seriously, seeing the trio standing there together doing a little “One” head pop just felt right. It set the tone that this awards show was going to celebrate the present while honoring the virtuosos of the past. The American in Paris Tony nominee had two breakout moments. First he and Hello Dolly! star Melanie Moore danced “City of Stars” from the movie musical La La Land, then he closed the night with joyous performance of “It’s Not Where You Start It’s Where You Finish” from Seesaw in honor of Tommy Tune. In each, Robbie was truly magnetic. The joy of the moment was palpable. Tony nominee Tony Yazbeck as the Baron and killer performer Mikey Winslow from Charlie and the Chocolate Factory as Otto Kringelein recreated that fabulous Tommy Tune choreography—bringing one of the most iconic Tony night performances to life in front of us. It made me so excited for the upcoming Encores! revival. Holiday Inn standout Megan Sikora picked up the award for Outstanding Female Dancer in a Broadway Show and her speech was so beautiful. It was a highlight of the entire evening. She shared a funny story of meeting Chita during Curtains and then she got choked up at the end of the speech. It was such a real, moving moment from a career dancer. Similarly, when Joshua Bergasse and Andy Blankenbuehler accepted their respective choreography awards, they each spoke about the dance community and the tribe and feeling at home at the Chitas. When those talented young dancers from Kanyok and Cosentino’s The Teen Company started doing “The Juggernaut”, I gay gasped like someone announced a revival of the LaChiusa Wild Party. Those kids SLAYED, the choreography by Grady McLeod Bowman was fun and interesting, and teenage hoofer Jared Harbour was another standout people were talking about at Sardi’s. 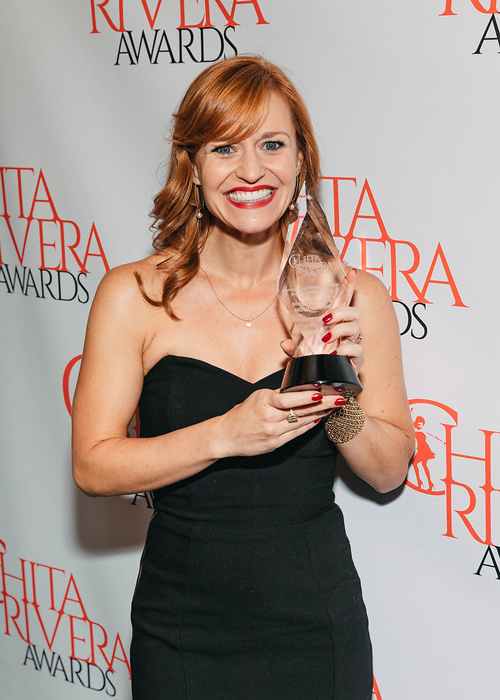 The night gave us a look back at the fantastic New Group revival of Sweet Charity (which Joshua Bergasse won a Chita for choreographing), and it was nearly impossible to take your eyes off of nominee Nikka Graff Lanzarone during “Big Spender”. Bring this revival to Broadway, please! Every point of the foot, every extension of the leg, serving all the face—it was basically a master class and a reminder of why dancers need their own night to be truly celebrated and honored.